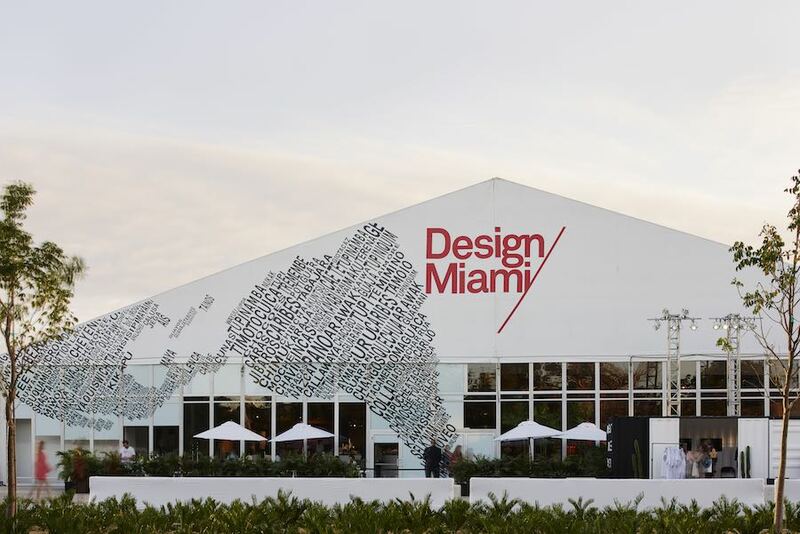 Miami 2018 – DesignMiami/ 2018 is in full swing. 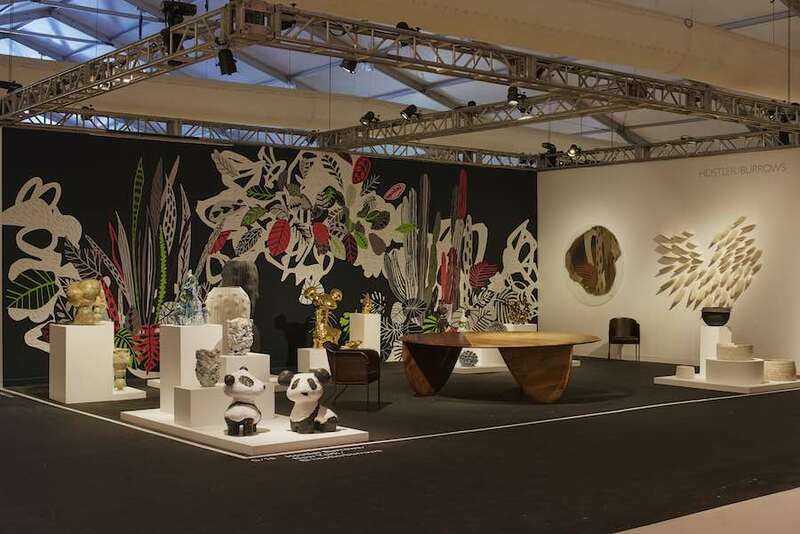 With over 50 exhibitions, the 14th edition of the premier platform for collectible design “grows in reach and in depth,” says Jennifer Roberts, Chief Executive Officer of the fair. 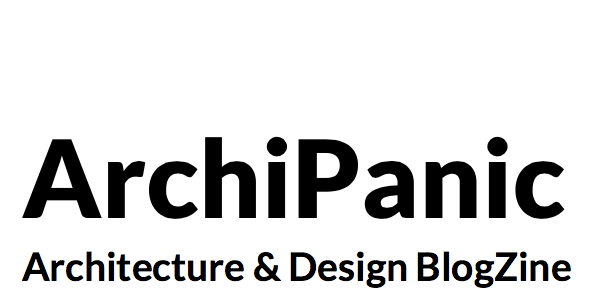 “From rare mid-century pieces to contemporary works using experimental materials and processes”. We selected 12 exhibitions on show in the so-called Magic City. Hostler Burrows’ booth – Photo by James Harris. DesignMiami/ often features bold and flamboyant installations, however in 2017 a more sober and humbled attitude emerged. This year, the fair hosts also projects with political messages and deeper reflections. A clear sign of maturity which does not rejects a playful and exquisitely quirky imprint. 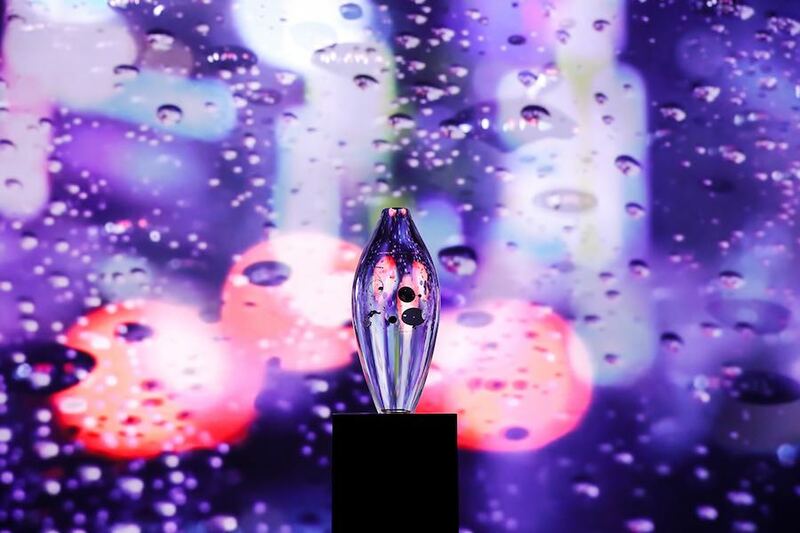 THE FLOW OF TIME installation by Grand Seiko – Photo by Daisuke Ohki – Courtesy of Grand Seiko. DesignMiami 2018 features 33 of the most influential design galleries across the globe, from New York to Paris, from Cape Town to Rio de Janeiro. 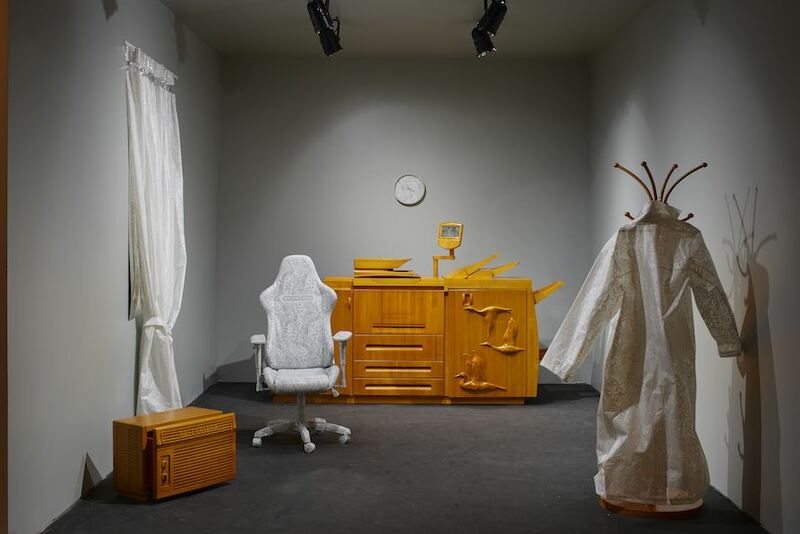 The exhibition platform Curio showcases 11 cabinets of curiosity. 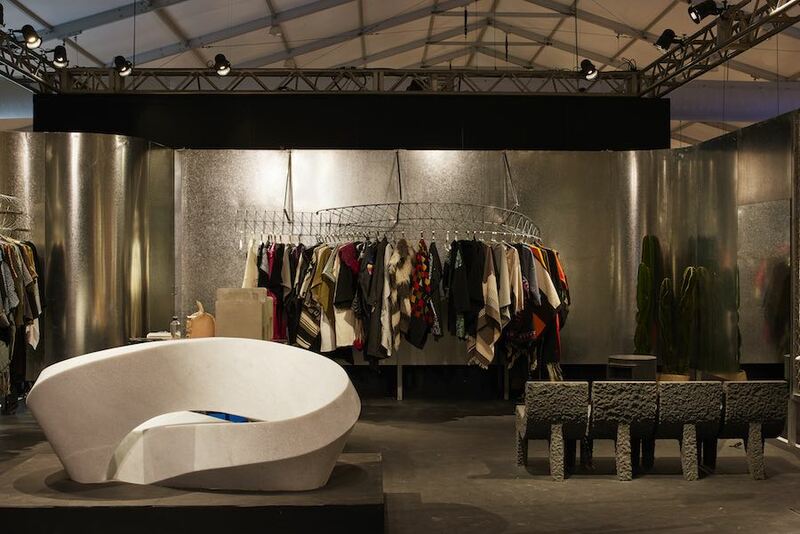 On show also illustrious collaborations with internationally renown high-end brands and satellite exhibitions. Check what we liked the most! UNITE installation – Photo by James Harris. 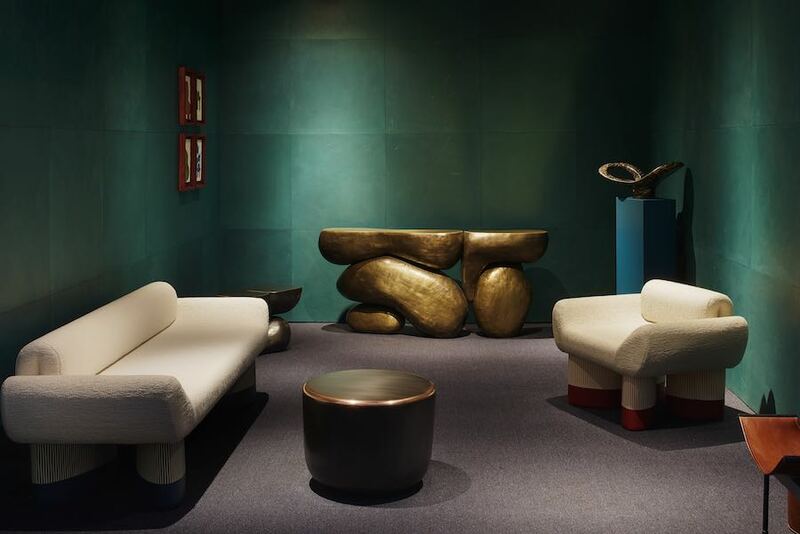 Courtesy of DesignMiami 2018. 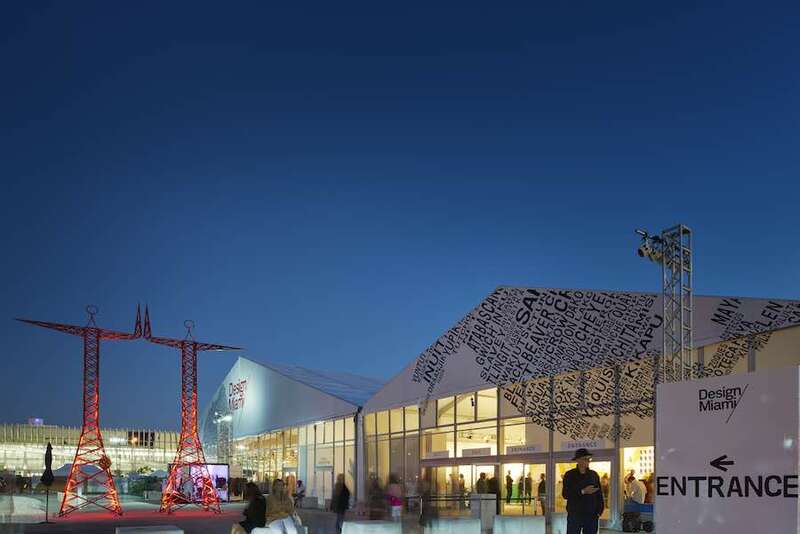 Two large anthropomorphic pylons tower over DesignMiami entry plaza with a positive message. Titled UNITE, the site specific installation by Pedro Reyes and Carla Fernández “sponsors solidarity values in a time of political and geographical division”. The designers, who won the Design Miami/ Visionary Award, present also a miniature retrospective of their work exploring some of the fundamental concerns of our time, like immigration and gun proliferation. Design Visionary exhibtiion – Photo by James Harris. 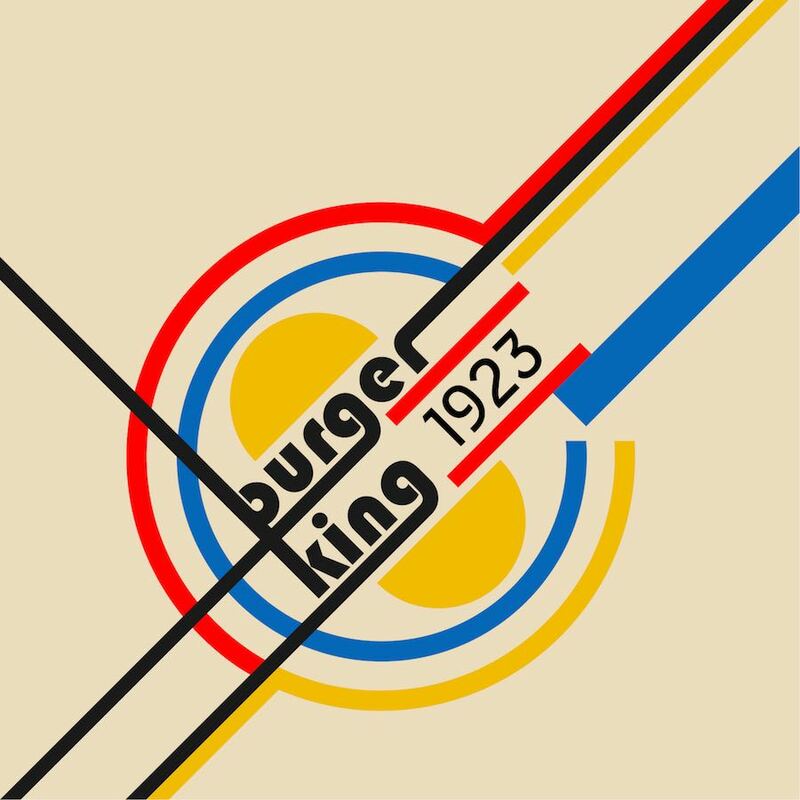 Courtesy of DesignMiami 2018. “Visit the capsule container providing information on the current humanitarian crisis in which Latin American immigrants and asylum seekers are being persecuted by U.S. Immigration and Customs Enforcement, illegally detained and separated from their children.” All proceed from Fernández’ capsule collection will be donated to a US based organization which helps reunite families separated at the border and to indigenous people of Mexico. 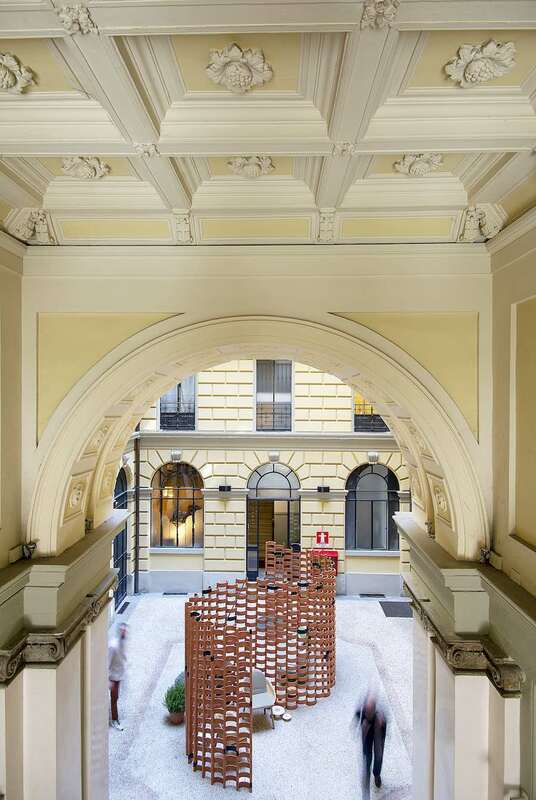 Harry Nuriev @ CURIO – Photo by James Harris – courtesy of DesignMiami 2018. Harry Nuriev’s early professional life as an intern in a small windowless office room in a typical Russian office building is rather indelible. In The Office series by the Crosby Studios founder at CURIO, “the chair symbolizes creativity and a place to kill time, sometimes miserably, the printer symbolizes agreements and bureaucracy, the window symbolizes freedom and watching your life rather than living it, the air conditioner symbolizes fresh air and death; the rack symbolizes orderliness and a dress code that can kill your identity; and the shoes symbolize people who are not there anymore“. TAKT Project and Shingo Abe captured the essence and transience of time with THE FLOW OF TIME, a mesmerizing exhibition for Japanese luxury watch brand Grand Seiko. 12 acrylic transparent objects placed on plinths and lined up in front of a giant video installation encapsulate parts of Grand Seiko’s new Spring Drive watch coming together; from the frozen-in-time dispersed separated parts of the first work to the fully assembled watch inside the last one. Projected on the screen behind, an immersive video footage represents the flow of time showing sunrises, ripples of water and blossom fall. 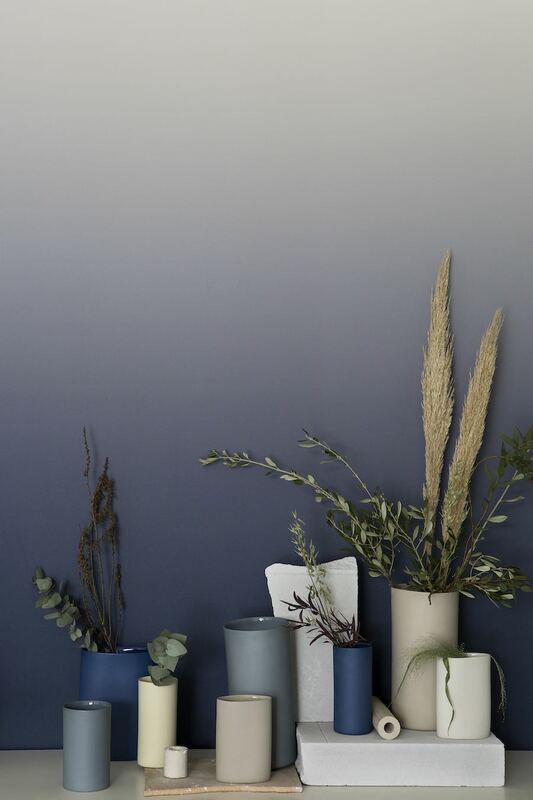 PERMA collection by Marcin Rusak for Sarah Myerscough. Courtesy of Marcin Rusak. Marcin Rusak upcycles one of the most ephemeral and poetic materials, flowers. At Sarah Myerscough, the Polish artist and multidisciplinary designer presents Perma, a furniture collection made with discarded flowers from florists. 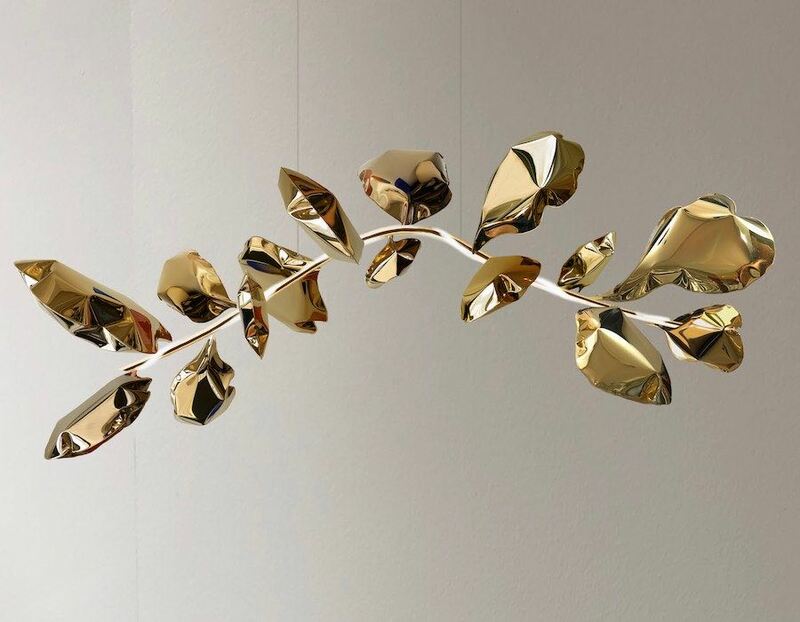 Bound in resin then machined lengthwise, the surface reveals a new world of natural adornment; wherein petals, stems and buds unveil the anatomical arrangement of their shapes and properties. Nadja Zerunian @ CURIO – Photo by James Harris. courtesy of DesignMiami 2018. 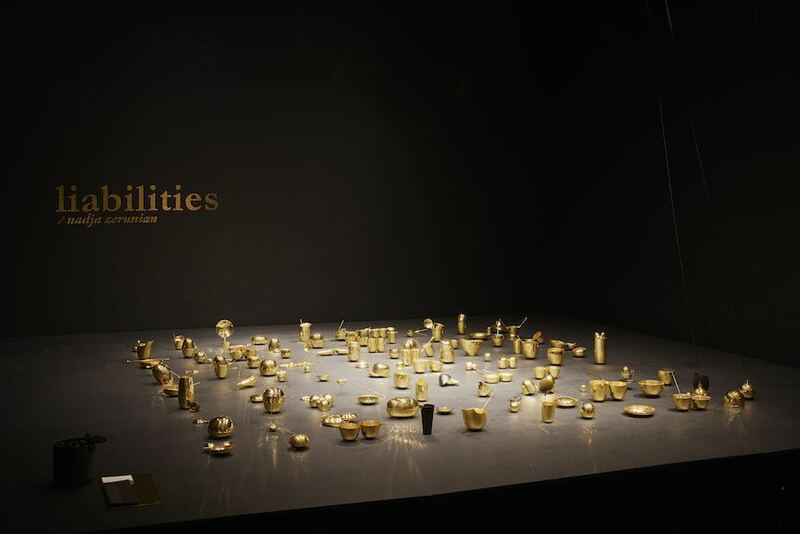 At CURIO, Nadja Zerunian’s Liabilities series of gold and copper objects explore human interactions, attachments, and bonds conjuring forms and placing them in conversation with one another. The designs were produced with traditional Transylvanian Roma artisans who use archaic methods and tools to this day. Les Ateliers Courbet @ Curio – Photo by James Harris. Courtesy of DesignMiami 2018. At CURIO, Les Ateliers Courbet presents The Masters Editions, a bespoke collection developed by contemporary designers paying homage and exemplifying Europe’s ongoing craftsmanship legacy. 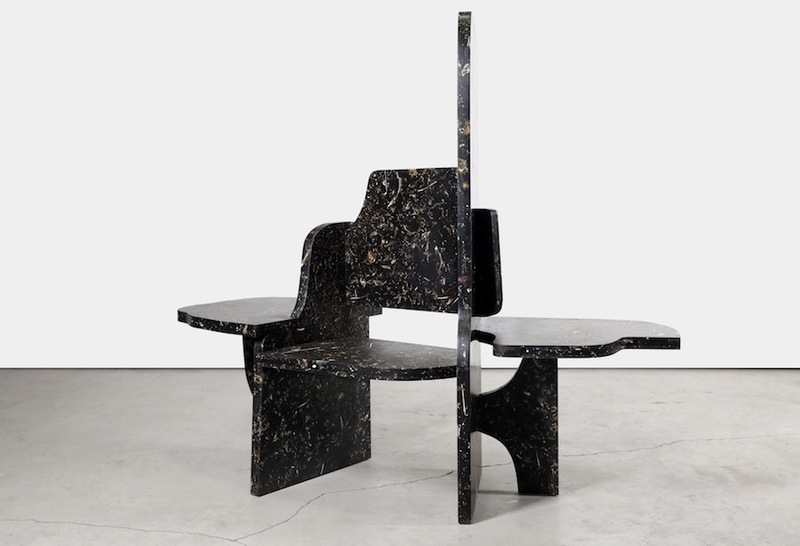 The Smile chair and Smile bench by Giancarlo Valle was developed with revered French upholsterers Domeau & Pérès while Mauro Mori’s hand-carved wood and cast bronze consoles were created using traditional and painstaking sculpture techniques. Sang Hoon Kim’s memory-foam sofa – Courtesy of Cristina Grajales Gallery. 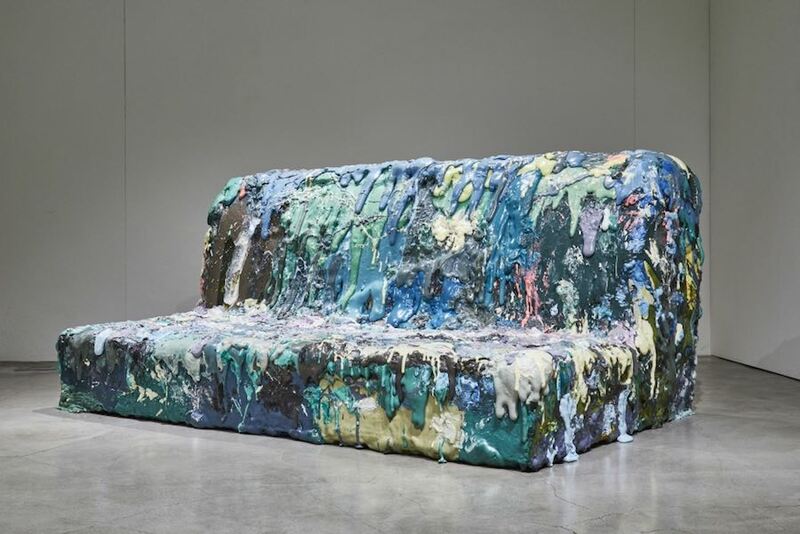 Sam Hoon Kim created a memory-foam-seat sofa Cristina Grajales Gallery that looks like it escaped from a Pollock’s painting. 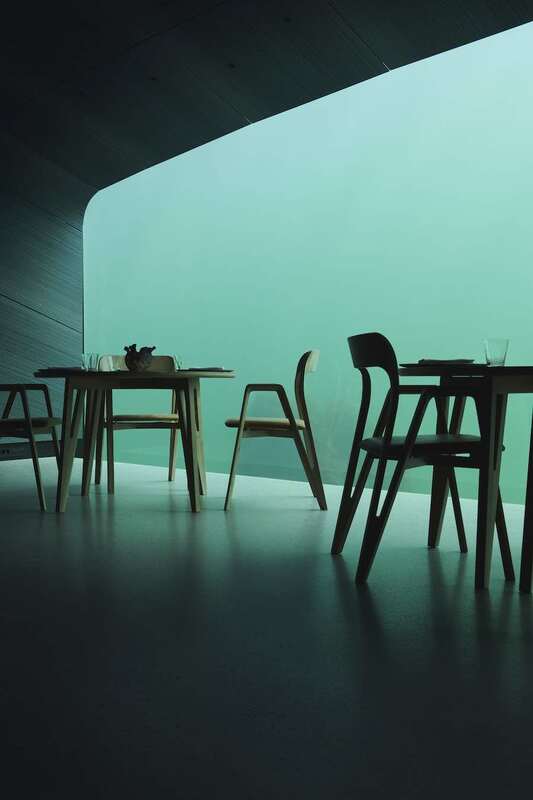 The furniture is informed by the designer’s family’s three generation foam factory. “Kim pushes the material’s boundaries, layering foam and experimenting with ratios of chemical solutions”. At Hostler Burrows, Jenny Nordberg makes sure that you look as ghostly as possible. 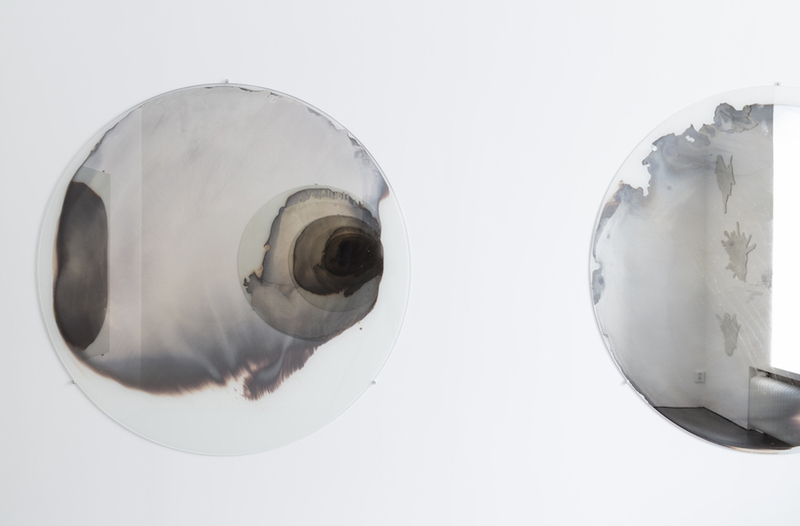 The Swedish industrial designer researched mirror-making techniques from the nineteenth century, eventually creating her own using a thin layer of liquid silver applied to glass. The result is unpredictable design with spectral reflections. 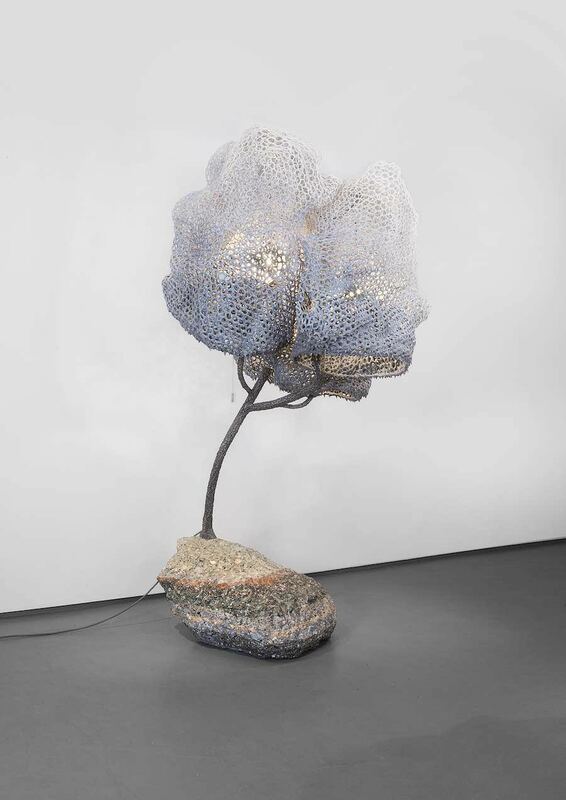 Porky Hefer’s cocoon – Courtesy of Rudi Geyser, Southern Guild. Porky Hefer’s human-scale nests and living pods at Southern Guild are both fantasy world and functional cocoon-like seating environments handcrafted from leather and woven grass. Suspended from the ceiling, wall mounted and floor based, the works mimic forms found in nature and invite to return to a childlike state. All the pieces are made by local communities in South Africa. Peter Blake Gallery @ CURIO – Photo by James Harris. Courtesy of DesignMiami 2018. 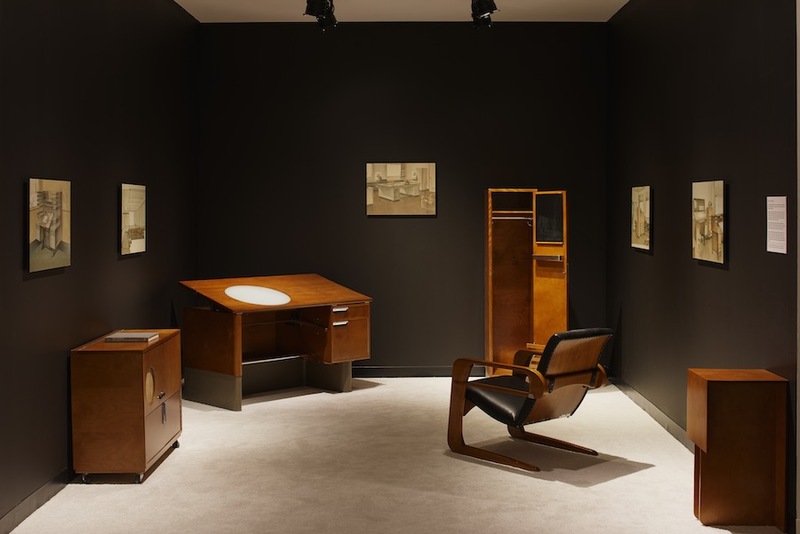 At CURIO, Peter Blake Gallery has recreated Walt Disney’s animation offices in Burbank, California, originally designed by Kem Weber in 1936. On show the rare and iconic Airline armchair. The cantilevered seat is the realization of Weber’s career-long goal to achieve a wholly American form of modern design and was named with a nod to the technological triumph of the day: commercial aviation. Nacho Carbonell’s Floor Concrete Lamp – Courtesy of Carpenters Workshop Gallery. At Carpenters Workshop Gallery, Nacho Carbonell’s handcrafted, organically shaped, semitransparent cocoons are illuminated from the inside, encapsulating the designer’s imaginative impulse. The oversized floor lamp encompasses several lights attached to steel “branches” that expand to a height of more than two meters. Eques by Dominick Leuci – Courtesy of Todd Merrill Studio. Dominick Leuci works materials with a sense of alchemy. For Todd Merrill Studio he created the Eques series, the first work of its kind to incorporate air-inflated stainless steel sculptures with LED lighting. 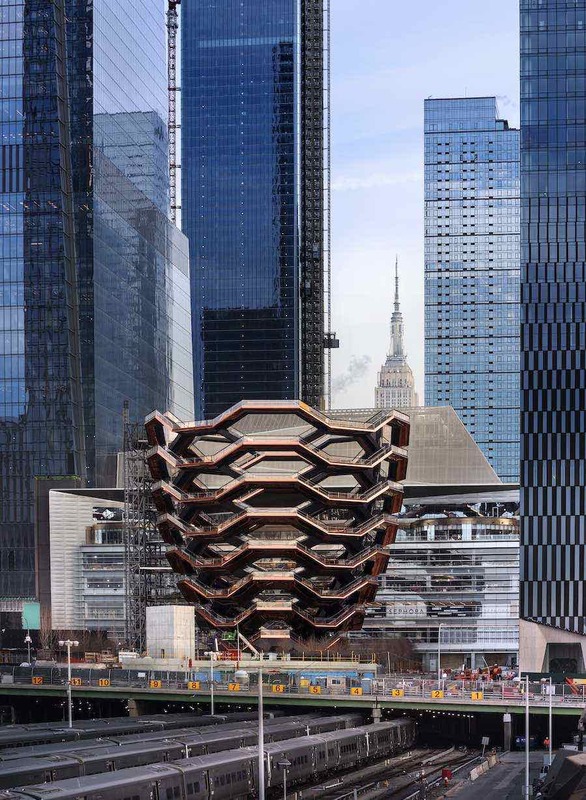 The result is an almost buoyant design derived from nature but incorporating modern design techniques and innovative materials.